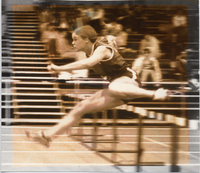 events as a world-class athlete in the pentathlon. Jones-Konihowski represented Canada in numerous competitions for many years. Canadian Olympic Sports Hall of Fame in 1996.